As we come to the end of our fiscal year, May 31st, we need your support. The College has experienced tremendous growth in recent years. 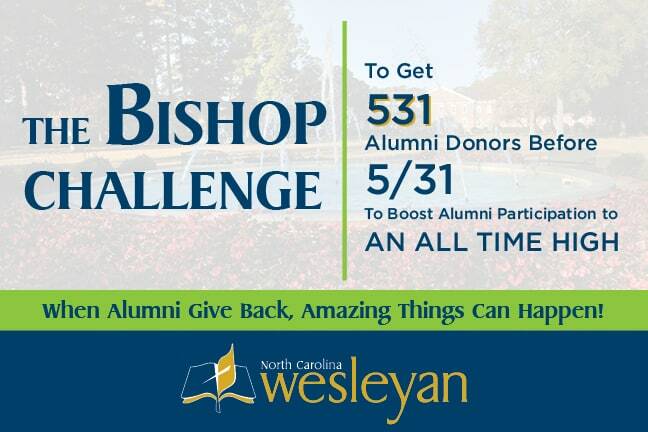 To continue making an impact on the students through unique learning opportunities, Wesleyan needs the alumni support to grow as well. Alumni participation is vital to the College’s success. Every alumni gift matters. Even the smallest gifts add up to make a lasting impact on current and future Bishops!